Over the years, there have been many innovations and advancements, especially in the medical field, aimed at improving the quality of medical service and care. In many cases, these improvements have helped improve health and save lives. On the other hand, there have also been some unfortunate cases that have caused more harm than good—especially in recent years, and since the birth of the IVC Filter. The IVC Filter is one such device that has been instrumental in preventing pulmonary embolism in high risk patients. However, a number of patients have experienced adverse reactions caused by the device. The IVC Filter is used by medical practitioners to prevent blood clots from reaching the lungs hence preventing respiratory complications. It is inserted into the blood vessel that transports blood to the heart. 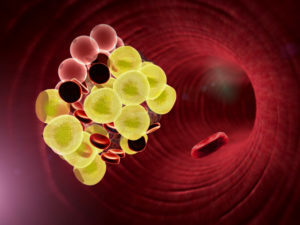 This means that the clots are captured before they get into the lungs—a situation that could otherwise have drastic consequences such as difficulty in breathing and even death. In most cases, the device is used on a temporary basis, and is supposed to be removed after the recommended period has lapsed. How Often are IVC Filters Prescribed? These filters are a common medical solution especially for patients who are at a high risk of blood clots in the lungs and all other options have failed. A significantly huge number of patients get the device implanted into their chests per year. In 2012, over 250,000 patients underwent the procedure. Because of the high number of times they are prescribed, the prevalence for complications as a result of their use is quite high. According to the FDA, temporary IVC Filters are quite dangerous if left in the body longer than prescribed. Visit this site here for more information on the safety alerts issued by the FDA regarding IVC Filters. Complications that arise when removing the device. The FDA reports that the consequences of the above mentioned actions are dire, and are sometimes irreparable. In the light of these complaints, the FDA made a recommendation that all IVC Filters should be removed as soon as the risk for pulmonary embolism reduces significantly. This would in fact reduce the number of complications arising from the use of this device. However, many of the medical practitioners do not heed to this advice. In fact, less than 10% of the filters are actually removed from the patients. Additionally, 19% of the removal procedures fail, and 8% develop serious venous complications. A significant number of people suffer complications due to IVC Filters not being removed from their bodies. This is made worse by the fact that the devices are prone to breakage, puncturing, moving in the chest cavity, and fracturing. Left untreated, these may lead to pulmonary embolism, hemorrhaging, strokes, and even death. Learn more about the difficulties and severe risks surrounding IVC FIlter implants here. If you have suffered from these symptoms as a result of someone’s negligence, a qualified IVC Filter injuries lawyer will help you get the compensation you deserve.